We visited the Capitol today. Along with a lot of school groups. We had tickets for a general tour that we obtained from our senator, but those tickets did not allow us to visit the actual Senate chamber. All hope was not lost, however. While in the visitor center, we learned that having a non-US citizen spouse can be a very useful thing. We walked up to the Senate appointments desk, mentioned that my husband was French and that I had dual citizenship, and faster than you can say veto, we had four tickets to the Senate gallery. The irony of it had me smiling for most of the rest of the day. The Senate was in session, although they were not debating anything of huge import. Only a few senators were on hand, but I was able to point out a few recognizable faces to Chloe, including Senators Schumer, Kerry (at least I think it was him – he was a little too far away for me to know for sure), Dodd and Franken. 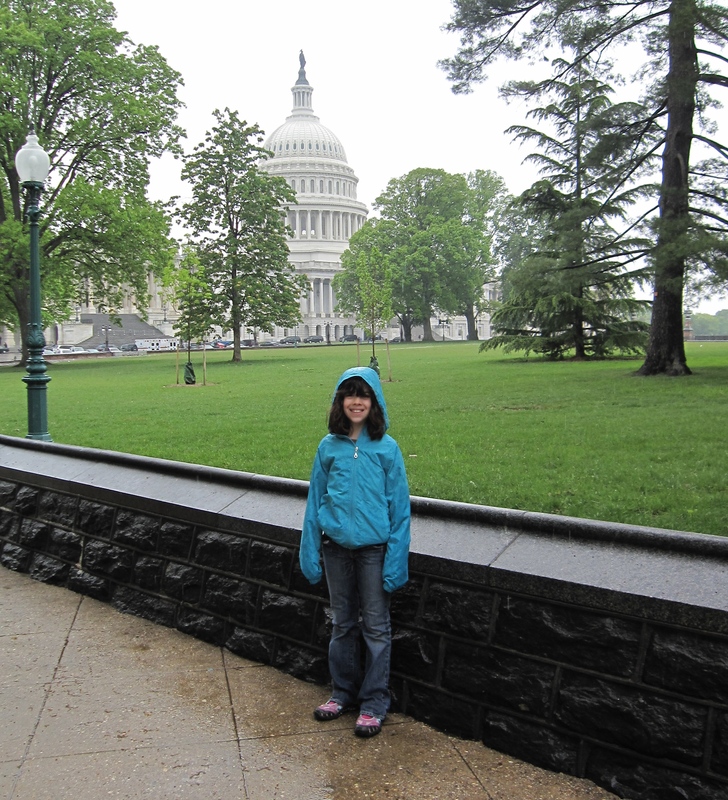 After our brush with the legislative branch, we made our way in the rain to the National Museum of American History. It was jammed. And noisy. We first visited Dorothy’s ruby slippers – and you would have thought we were trying to see the Mona Lisa, the crowds were so unbearable. We then took a quick tour of the first ladies’ gowns. 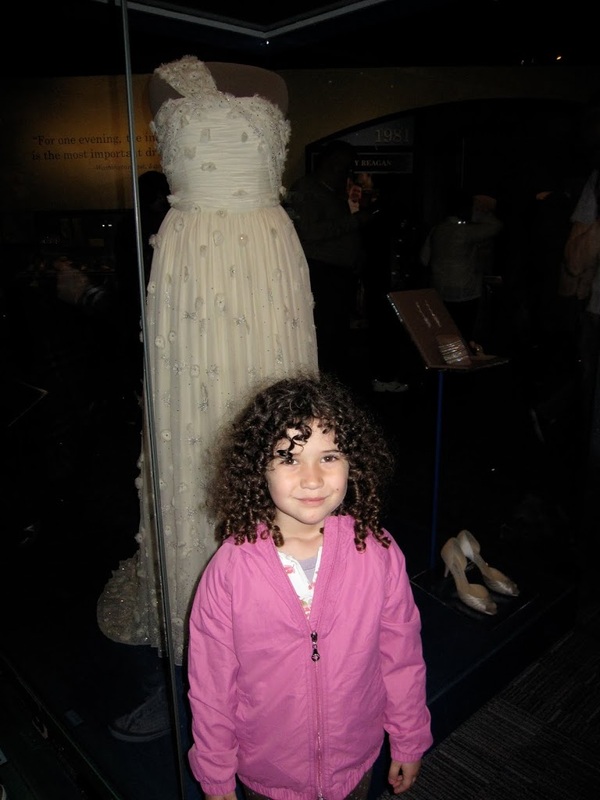 Sophie was proud to have her photo taken next to Michelle Obama’s inaugural dress. And as an aside, Sophie discovered another important use for the socks on her feet. She realized they can serve as pockets when she doesn’t have pockets anywhere else. When we arrived back at the hotel after dinner, Sophie remembered that she “had something in her sock.” She removed it and out fell a penny she had been playing with earlier. “I didn’t have pockets in my pants,” she emphatically announced.